In the past, the ROI on housing assets had been quite satisfactory and in some cases even spectacular, depending on the aptness of choice in terms of specific location, configuration, amenities and builder’s brand. While rental yields for residential assets in India have historically been low, capital appreciation alone was a sufficiently dynamic prospect for most real estate investors. However, the hype around residential property investment has fizzled out over the last 2-3 years, with a prolonged slowdown severely impacting capital appreciation. 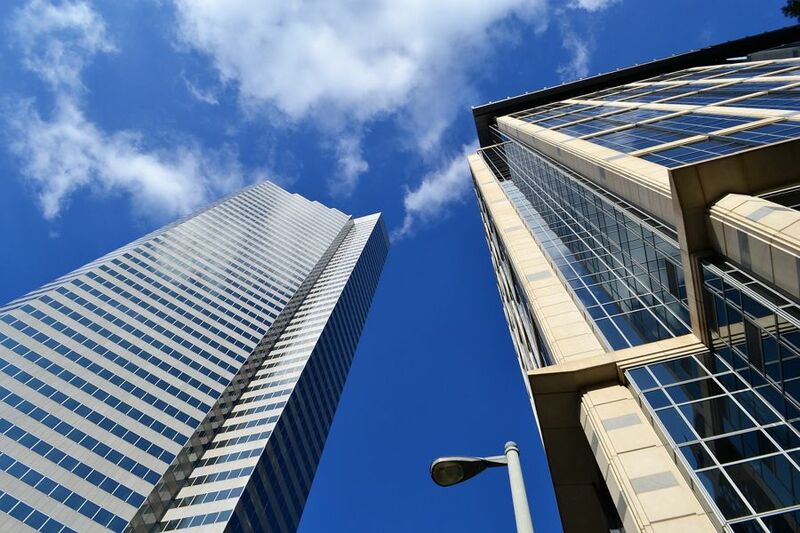 As of now, investors with the financial wherewithal and requisite understanding of the commercial real estate space find office assets far more attractive, and for good reason. In the first place, office properties in the right location and project attract quality corporate tenants and can, therefore, yield very good rental returns over prolonged periods. The average rental yield of a good commercial property falls in the range of 6%-10%, whereas the rental yield of a residential property is dismally low in the range of 1.5% – 3.5%. Simultaneously, capital appreciation can also be more than satisfactory for the right office assets. The demand for good office real estate assets, for which there is a constantly increasing requirement due to rapid employment generation and the imminent possibility of the first REIT listings, is therefore quite high among investors. Office properties in well-located Grade A buildings, InfoTech parks and even in logistics centres are generating the kind of steady and dependable ROI that investors previously sought and found in the residential asset class. The commercial office space witnessed a bracing upsurge of private equity inflows in 2017, and this trend is likely to continue throughout 2018. With the first listings likely to happen in Indian REITs this year, we will see further infusions of liquidity into the commercial property asset class, and this will go a long way in amplifying the ability and willingness of developers focused on the commercial office segment to deploy more assets. Meanwhile, the continuing sluggishness on the residential property market – coupled with the associated re-investment cycle risks – will also play a significant role in driving more investments towards various categories of commercial real estate. Commercial offices were previously concentrated only in the top 7 cities of India. However, with rising property prices and availability of good office spaces in smaller cities, corporates began expanding in tier II and tier III cities as well. Similarly, IT parks and SEZs also developed in the smaller cities. As far as industrial parks, logistics parks, etc. are concerned, these assets are generally located in areas that support the effective transport of people and goods. As a result, smaller cities and towns along the industrial corridors have witnessed good growth. All-in-all, in addition to top 7 cities of India, smaller cities such as Jaipur, Indore, Chandigarh, Kochi, Ahmedabad, Coimbatore and a few others are likely to flourish with commercial real estate in the future. With a lot of manpower rationalization happening in the IT/ITeS sector, InfoTech companies are now looking to optimize their office real estate portfolios in the most efficient ways possible in the current market scenario. In the interest of better economies of scale, such firms are likely to consolidate offices and operations across various locations. Considering that real estate is expensive in the larger cities, IT companies may also look to consolidate operations in the smaller cities. Considering that good quality office spaces are likely to be in demand in the future as well, IT firms may initially consider terminating long-term leases to reduce their operating costs. Further, post-consolidation, they may look at selling these spaces. This will imply quality spaces entering the market – often in areas where there is a great need for such spaces. India’s start-up ecosystem is leading to increased investments and employment opportunities. A number of start-ups which were launched several years ago have already metamorphosed into sizeable firms employing massive numbers of people. A good case in point of this phenomenon is the more prosperous e-commerce firms now operating in the country. While their initial contribution to commercial space absorption was initially less than minimal, these e-commerce companies now account for over 3% of the annual overall commercial space absorption in India. Considering the enthusiastic consumer response to e-commerce in India, this dynamic is going nowhere but further upward in the future. Start-ups in the InfoTech, retail, manufacturing as well as biotech and life sciences industries are at the prime beneficiaries of the Government’s Digital India initiatives, and India has already transformed itself into one of the world’s most promising and prominent destinations for start-ups. Simultaneously, many start-ups focused on the real estate sector have had a positive influence on the manner in which the realty industry works in the country. They have brought about a higher saturation of modern construction and architectural design technology utilization, and have also upped the transparency and efficiency quotients of real estate brokerage and research services.